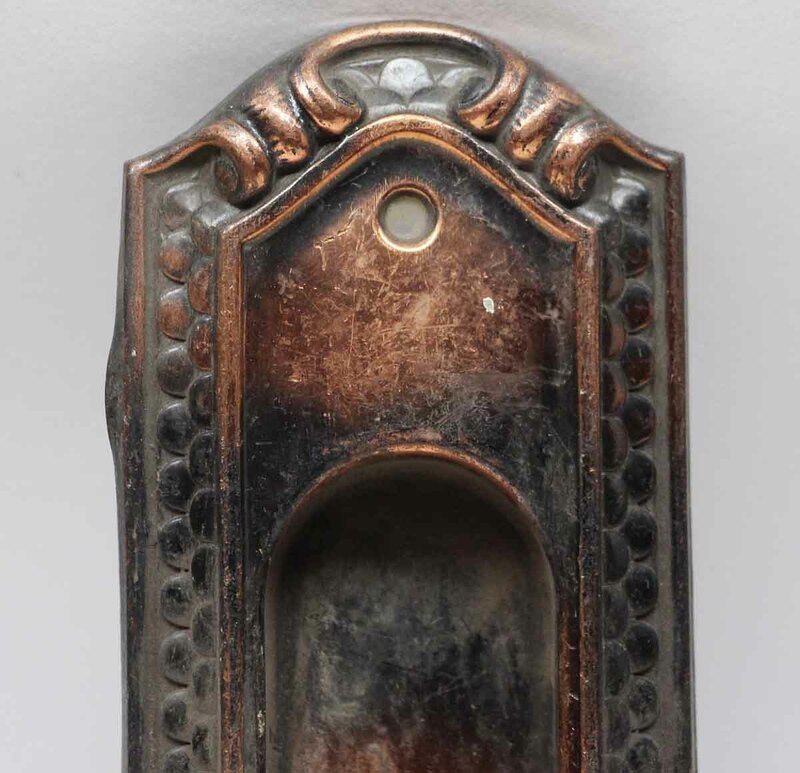 Bronze Art Deco pocket door back plate with black and copper tones. Matches item #N253926. One available.